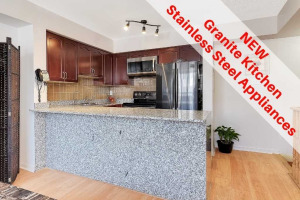 Must See Stunning Urban Life Style Executive End Unit Townhouse Is Turn Key, Freshly Painted, Vendor Placing New Floors,Open Concept Welcomes Quests With It's Chef Inspired Kitchen. Master Bedroom Features Large Closet And Windows With Amazing Ensuite. With 2nd Bedroom Along With Large Den Which Can Be Used As Third Bedroom. 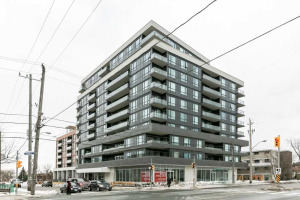 115 Sq.Feet Of Large Terrace, Close To Wilson Subway, Walking Distance To Yorkdale Shopping Center And Resturants. 9' Ft. Ceilings, Garnite Counter, S/S Fridge, Stove, B/I Dishwasher, Mircowave, Stacked Washer And Dryer, Cac Parking, Locker.